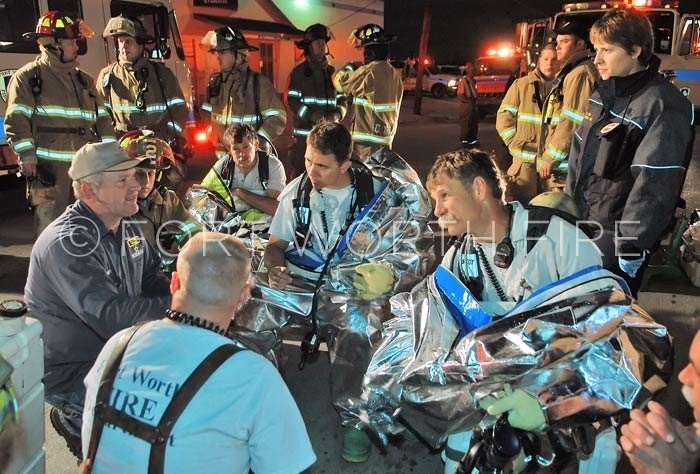 Firefighters have their vitals checked after being deconed by Medstar. 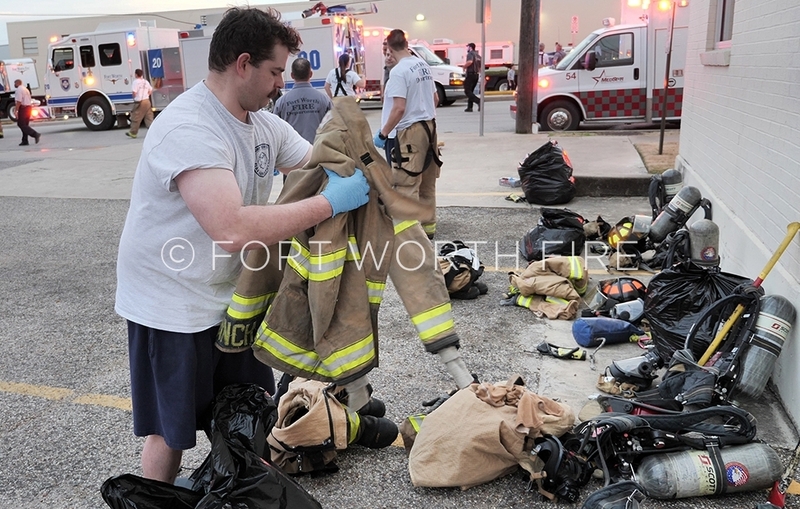 Scott Robinson explains the decon process to exposed firefighters at an exposure event on Schott St.
Ryan Branch puts away contaminated gear at an exposure event on Schott St. 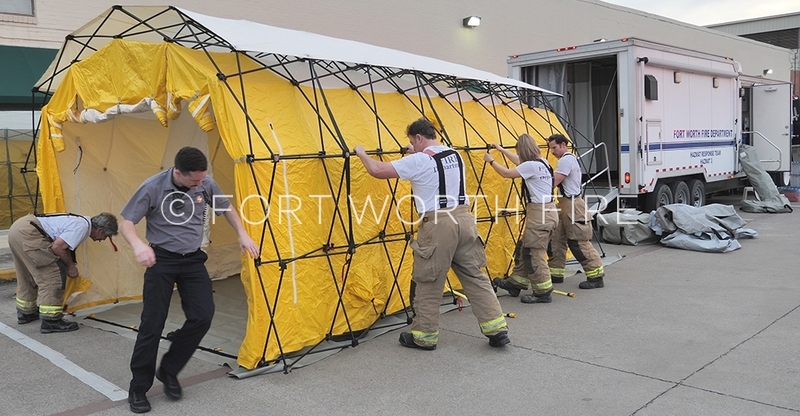 Firefighters setup the decon tent during an exposure event on Schott Street. 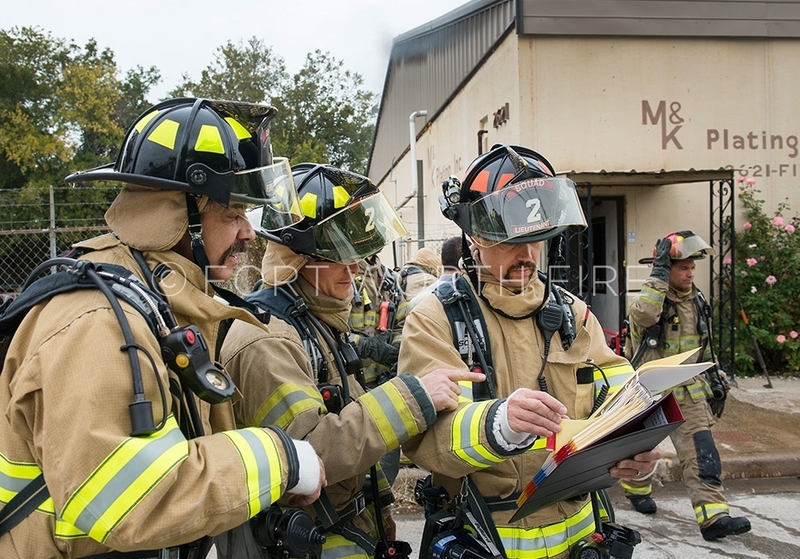 Haz-Mat team members Scott Robinson, Jerry Bays and Brian Call look at the MSDS binder during a fire at a commercial plating company. 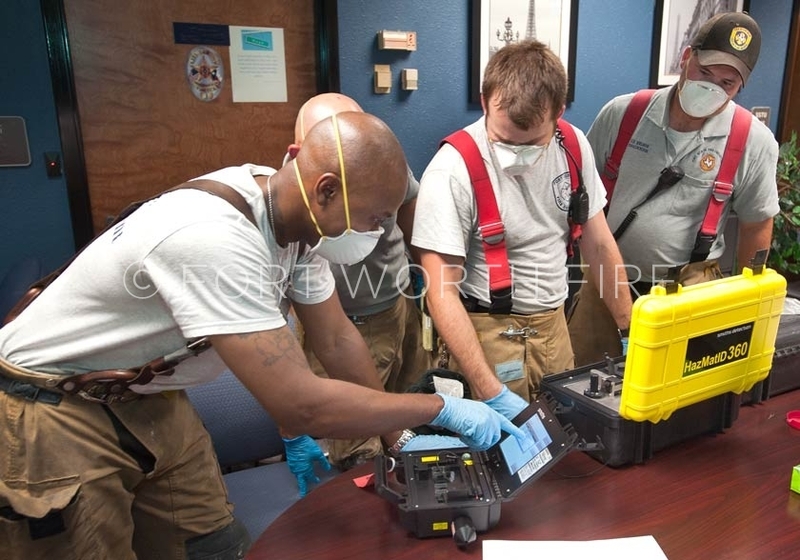 LaTerrance Majors, Eric Palmer and Chris Nelson run a haz mat id on a white powder substance. 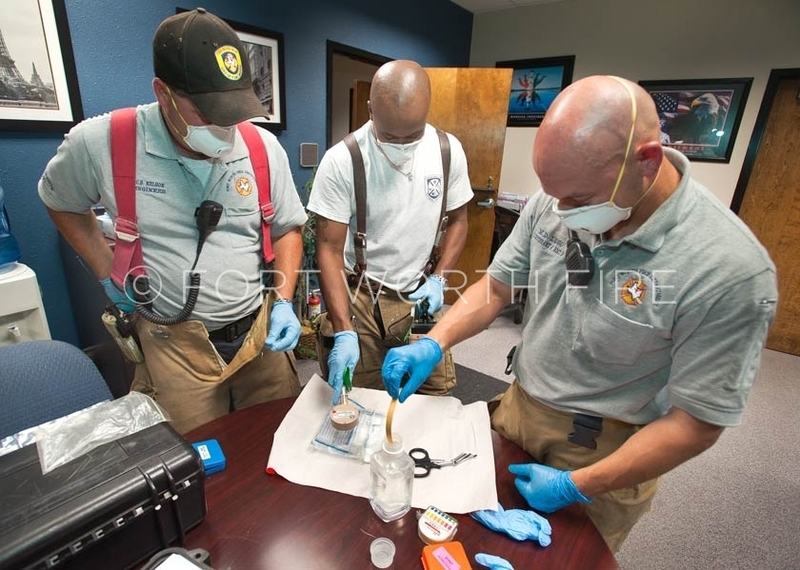 Chris Nelson, LaTerrance Majors and Lt. Mike Lugo check a ‘suspicious’ white powder found by a local police department. 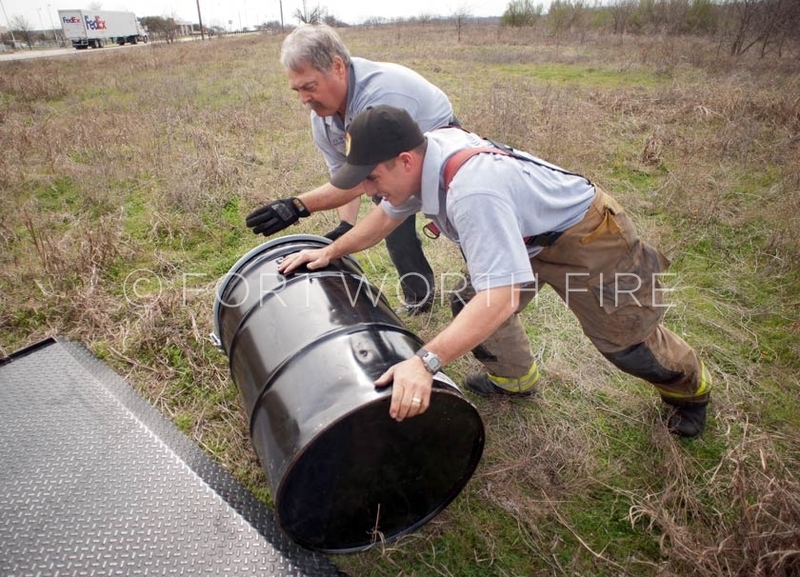 Randy Wright and Chris Torrez roll a fuel filled drum to the support truck. 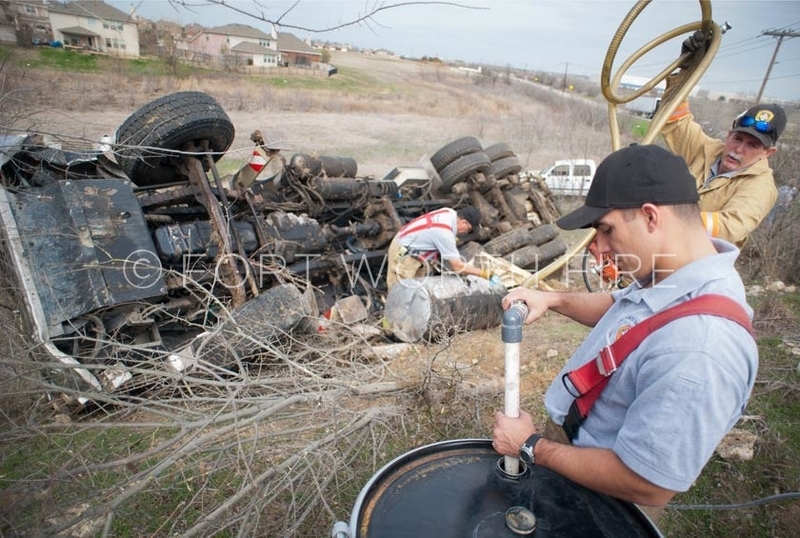 Chris Torrez holds the fuel line during a hazmat incident on Blue Mound Road. 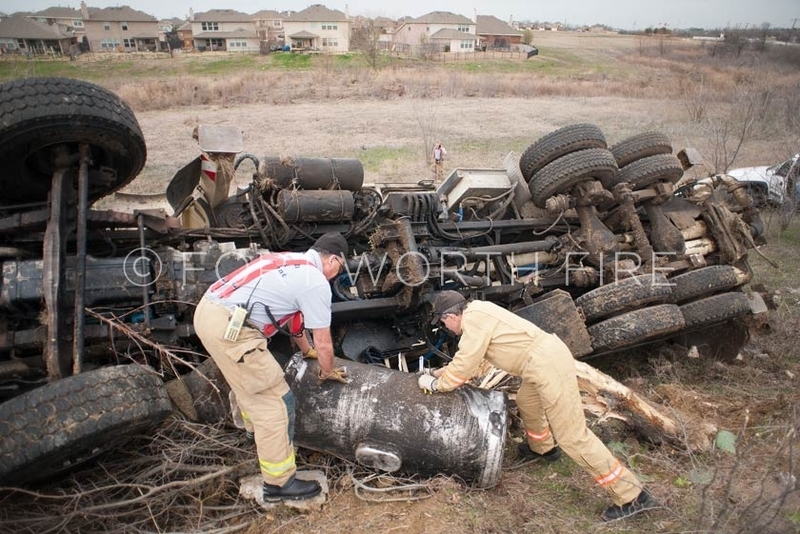 Captain Mike Skains and Jerry Webb siphon out fuel during a truck rollover. 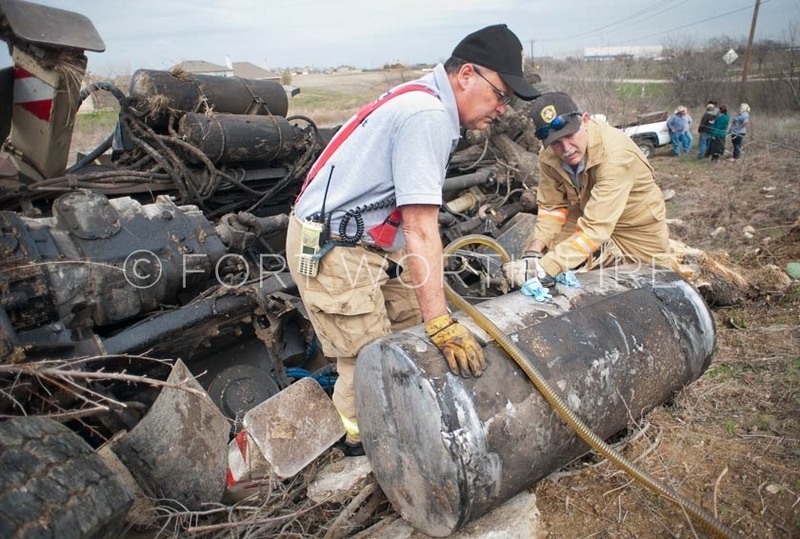 Captain Mike Skains and Jerry Webb secure the fuel tank of an overturned truck on Blue Mound Road. 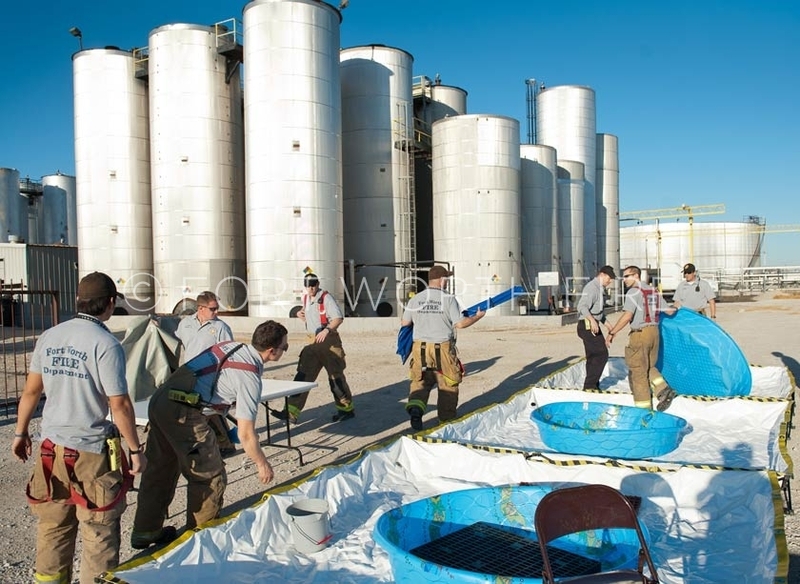 Firefighters set-up the decontamination area at a haz-mat leak in Saginaw. 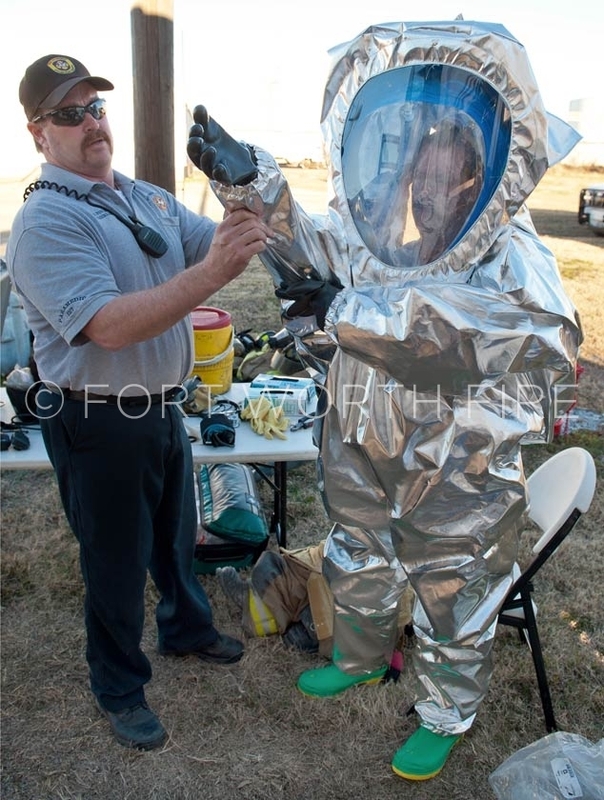 Brad Fowler assists Chris Nelson in putting on a Level A suit during a haz-mat leak. 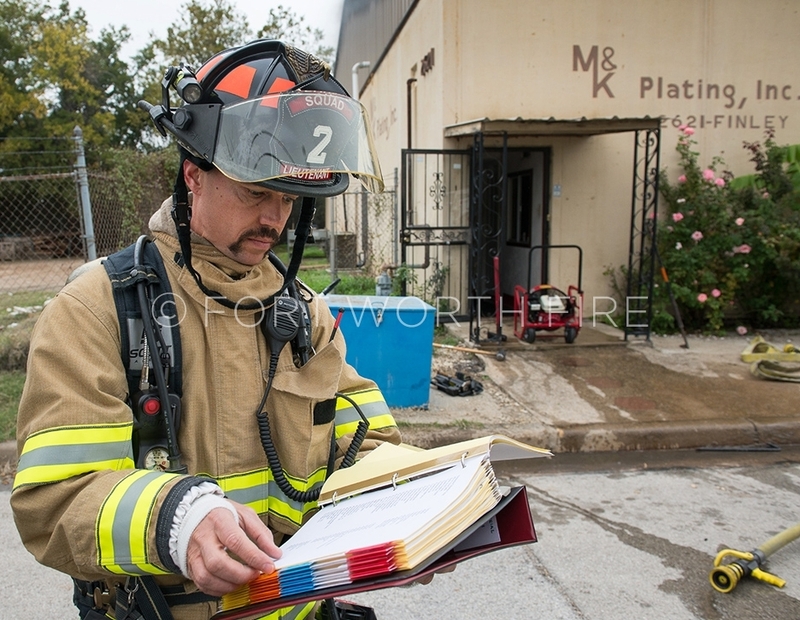 Jerry Webb conducts a substance test in Squad 2. 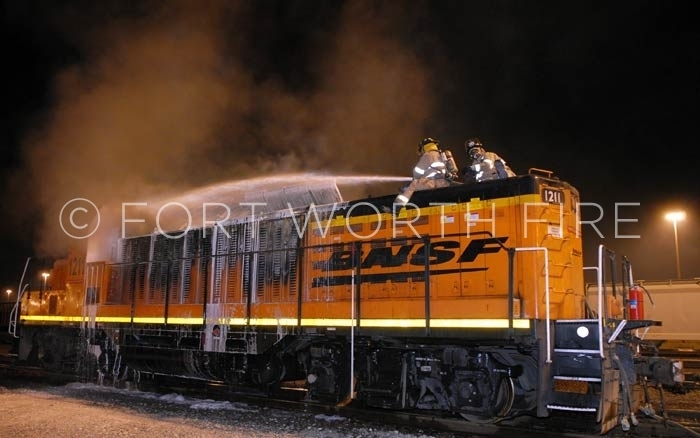 Scott Meyers and Greg LaRue spray foam into a burning engine compartment on a train engine. 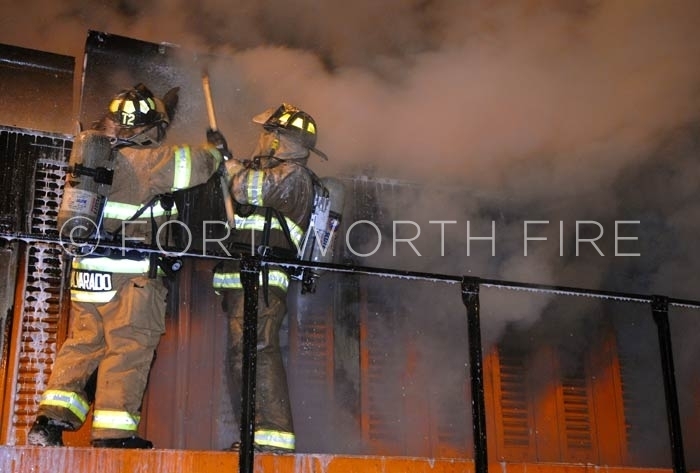 Jerry Alvarado and Lt. Bobby Tucker work to open battery compartments on a train engine. 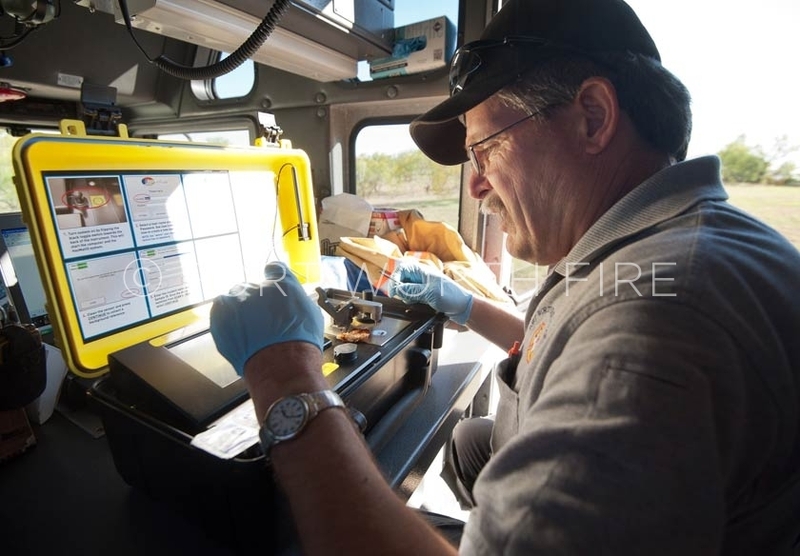 Lt. Rick Addington tries to pry open battery compartments on a train engine. 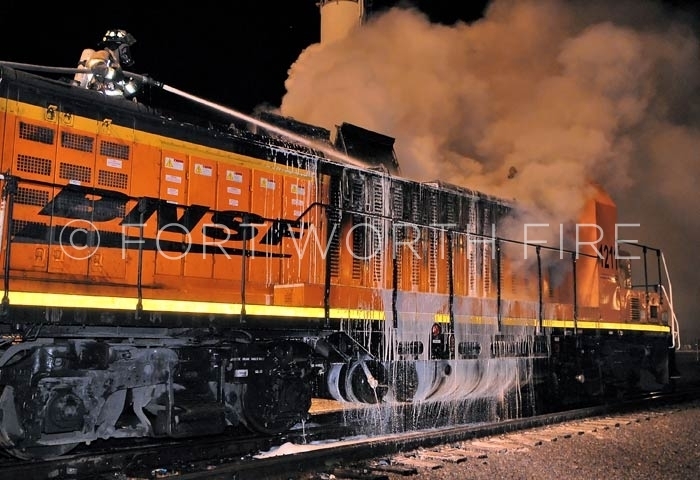 Bobby Tucker and Jerry Webb apply foam to a well involved train locomotive. 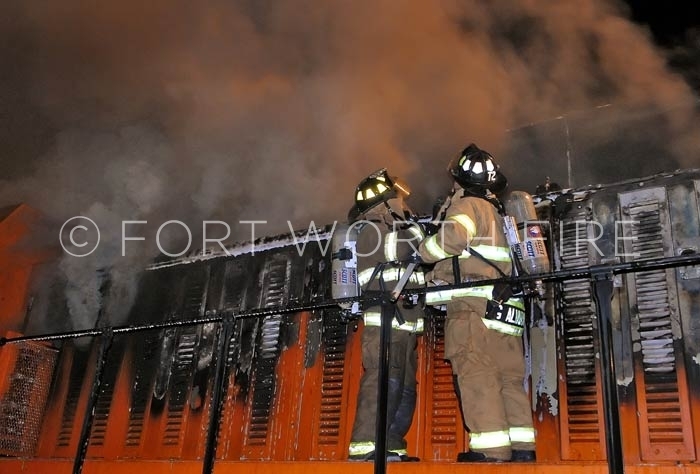 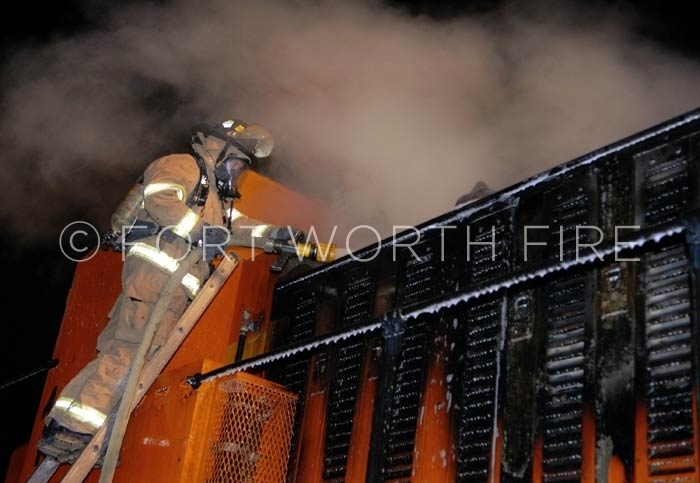 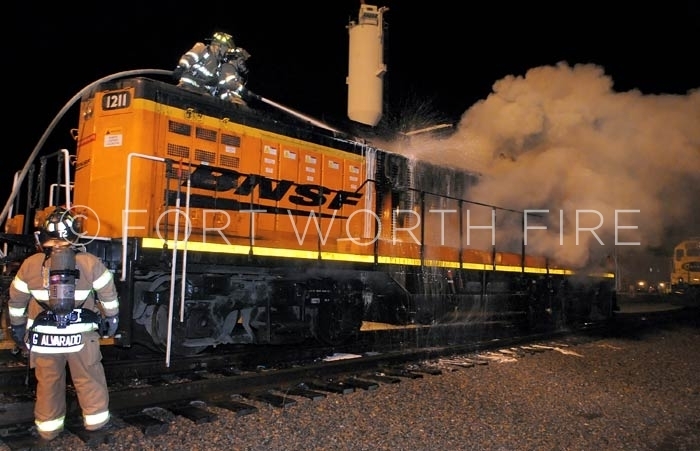 Lt. David Massey sprays down smoldering batteries on a train locomotive. 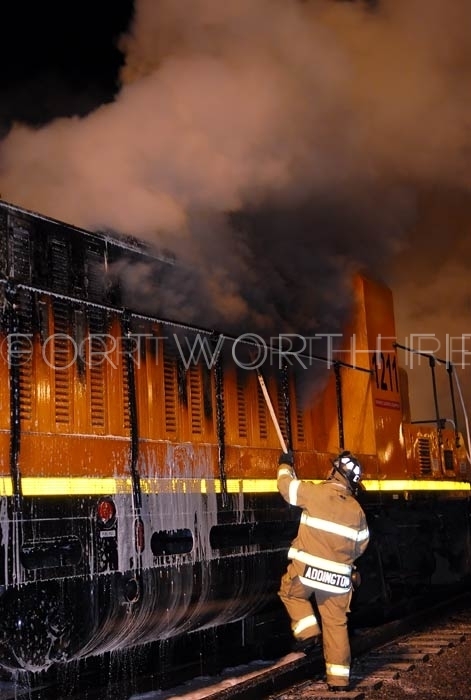 Jerry Webb applies foam to a well involved train locomotive. 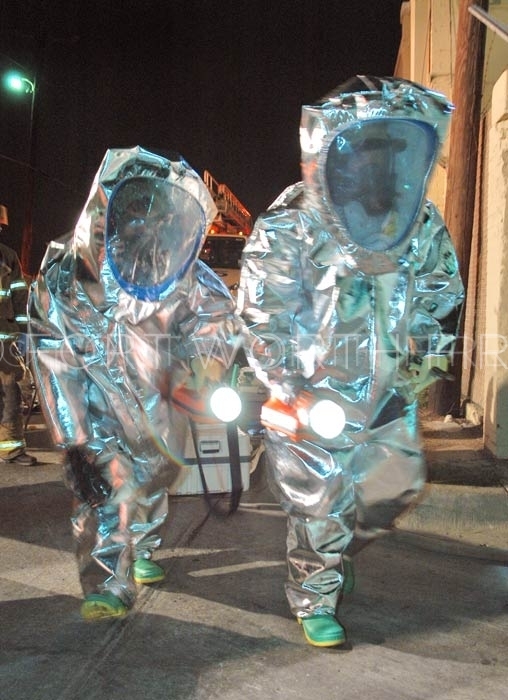 Richard Harrison and Mike Walters enter the Beltex facility on N. Grove St. to control an ammonia leak. 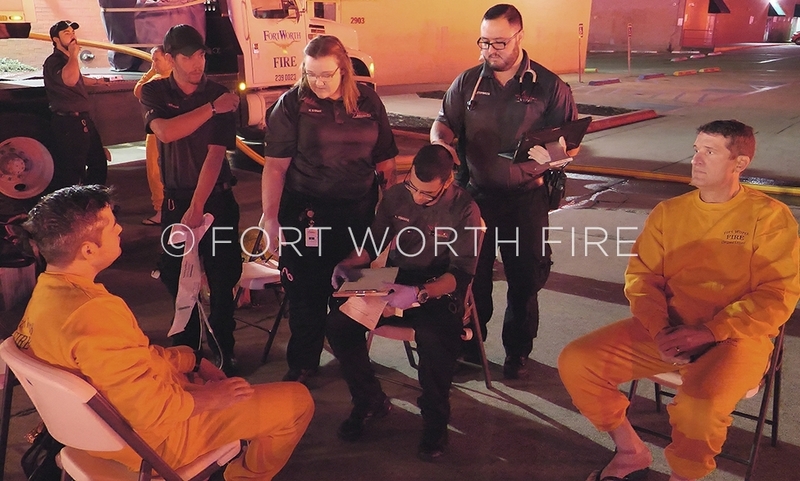 A representative of Beltex meets with Squad 2 members prior to entering the facilty on N. Grove St.